Yes, start a business, any good business you can think of - just for the fun of it. We’ve talked about overcoming your comfort zone so doing this will not be a problem any longer, I believe? And now we are talking of you having fun while creating fun. Yeah! Double fun, that is! You should not be overly concerned with whether the business is going to succeed or fail. That is why I said you should start the business just for fun of it. Also, that also means you don’t even have to consider whether you are good in it or not. All you have to do is to start it NOWWW! First, you will have this added advantage of approaching your business as fun. Of course, you will naturally take off take off the pressure to succeed or prove a point off your shoulder. Secondly, when you start something you are not all that good in, you will approach it with little or no resort to the outcome. This is the number one secret of the world’s greatest gamblers. They are never concerned with the outcome. Look at the scenario. If you fail, that’s okay because you already know you are not all that good in it. But then, who knows, you might just end up surprising yourself when you succeed! Then three, if you start something you are not all that good in, something inside you will try to convince you to try to make it work. That same thing will try to convince you that you might actually be good in it. Which is why, four, you are going to identify another area of interest lurking deep within you that you may never have discovered before. 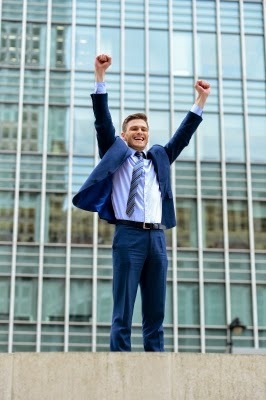 This is because, when you want to start something you are not so good in, chances are, you will still start by thinking of those things you are already good in and from there, you might start convincing yourself to use those things that made you good in one business to make another one successful. And finally, the last but not the least, if you start a business you are not all that good in, you will agree with me that it doesn't really matter if you fail or succeed. Oh gosh, why do I keep on repeating myself on this? Well...I hope I have tried to convince you, right? Okay. Your question now might be, what type of business can one start? Well, I can’t tell you exactly the business you can start simply because I am not you. But if I were you, I would start an online business. This is because I love the internet so much and I know that I will have more customers when I put my products there. That’s a huge form of leverage. I like writing too so that means I will most likely like to be an online writer of articles and blogs. You have to identify your own fun business idea. Maybe you like singing, or you like cooking, or you like knitting, or you like doing researches, or you like travelling? Your task now is to get down to business and get started. Remember, you don’t have to worry about succeeding. Your only concern is to just get started. And luckily for you, the only way to start something is by starting it. NOTE: If you are looking for a business to start and you don't have any idea which one to start, then why don't you join SFI today? SFI is a tested and proven affiliate marketing network. Click here to join SFI today. I am sure you will definitely like it.